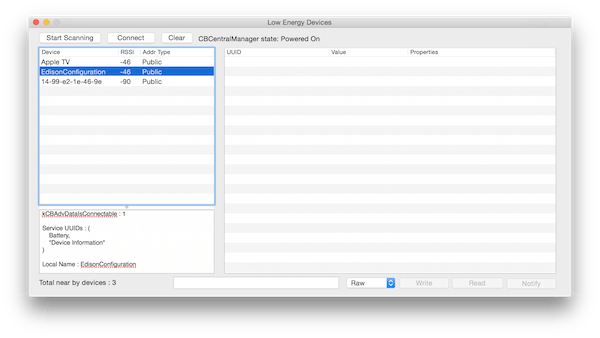 Starting to play around with BLE development with Intel Edison, here are some useful tools for scanning and discovering local BLE services for developers. I am using an older MacBook Pro and I frequently encountered problems connecting to and reading BLE characteristics. Of the below options, I have had the best success using the LightBlue iOS app (NOT the OS X app). I suspect I might get different results if I tried these scanners with my newer Mac Air. 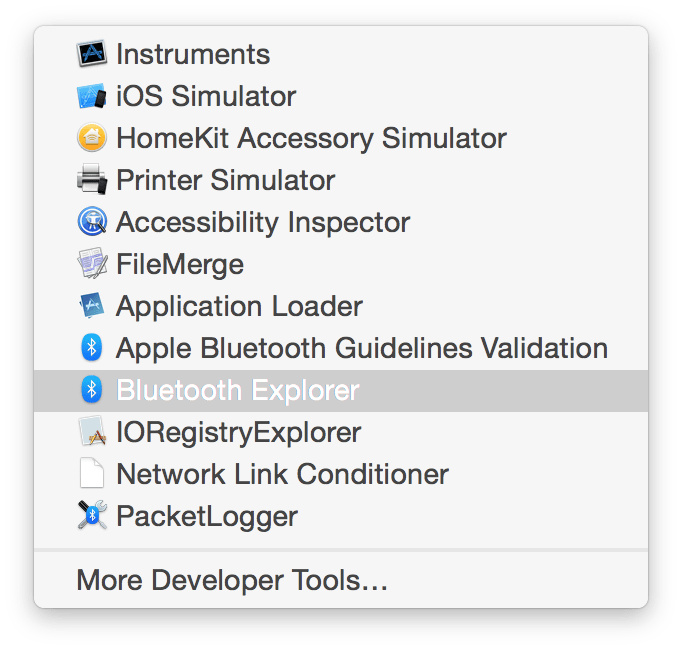 First, there is Xcode’s Bluetooth tools. You can get them by opening Xcode and selecting “Xcode -> Open Developer Tools -> More Tools” and then downloading the “Hardware IO” libraries after logging in with your developer credentials. ← Kirkland Startup Weekend Maker Edition Winners!